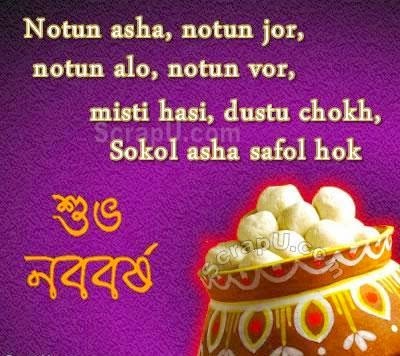 Poila Boishakh is also known as Noboborsho, or Bengali New Year, as it is the first day of the first month of Boishakh in the Bengali calendar. Poila Boishakh is a national holiday and in West Bengal it is a public holiday. This day is a very festive time for Bengalis. This day being auspicious, new businesses and new ventures are started. The Mahurat is performed, marking the beginning of new ventures. Poila Baishakh bears immense significance in the life of all Bengalis. It marks as a new beginning, a new hope, a year full of joy, well-being and prosperity. Bengali's special occasion is always incomplete without sweet preparation. 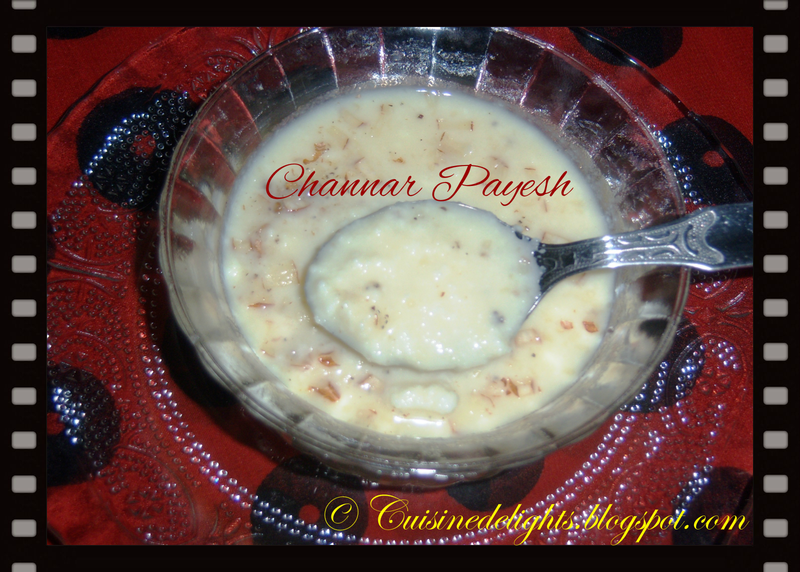 I decided to make 'Chanar Payesh' for this special occasion. 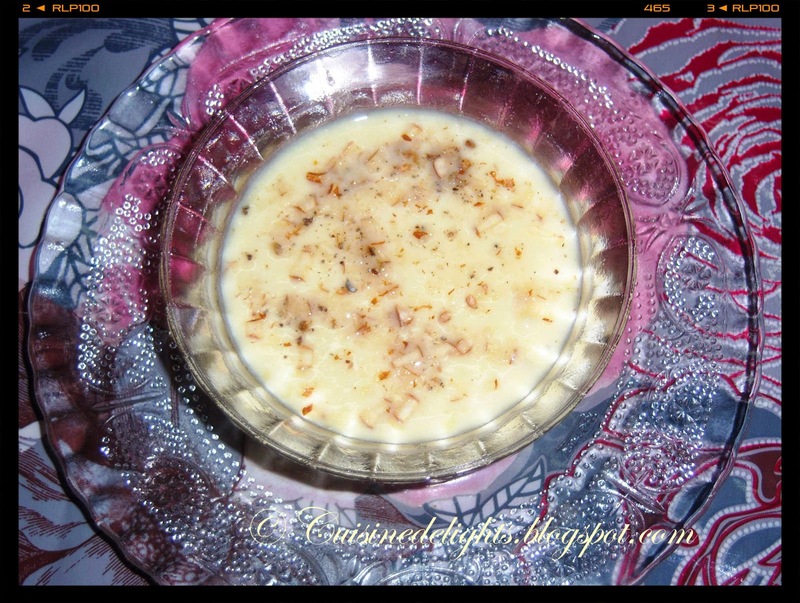 Chanar Payesh is also known as 'Chanar Cake' is not very common in Bengali mistir dokan or sweet shop. 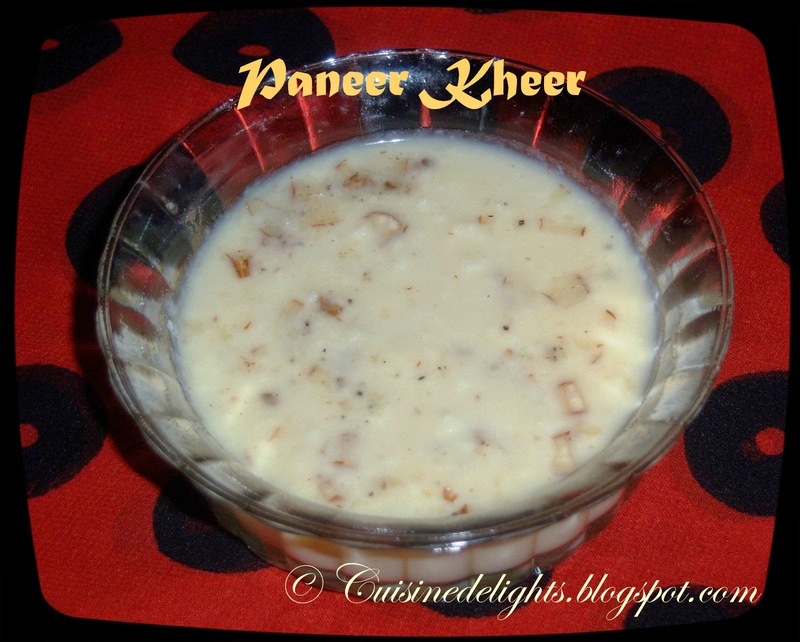 Chanar payesh is enjoyed chilled with some chopped nuts. This cardamom and rose flavoured thick creamy dessert is delight to eat. Pour 4 cups of milk in heavy bottom pan, bring to boil.Mix water and lemon juice together.When it's starts boiling add lemon juice little by little to curdle the milk. Switch off the flame, pour the liquid in to the strainer covered with muslin cloth. Pour cold water and rinse thoroughly. Now slowly take the muslin cloth in hands, squeeze and drain all water completely. Set aside for 15 mins. Take 5 cups of milk in a heavy bottom pan, add sugar .Keep this in medium heat, boil it. Cook till milk reduced to half of the quantity. Take the paneer in a wider plate, rub it well with your palms for 5-8 mins to get smooth texture. Now add the chana little by little and gently stir to mix it to the milk. Once all the chana is added let it simmer on low heat for 3-4 minutes. The consistency of the dish should be thick and creamy texture. Then turn off the stove, and sprinkle cardamom powder. Allow to cool completely and refrigerate it.